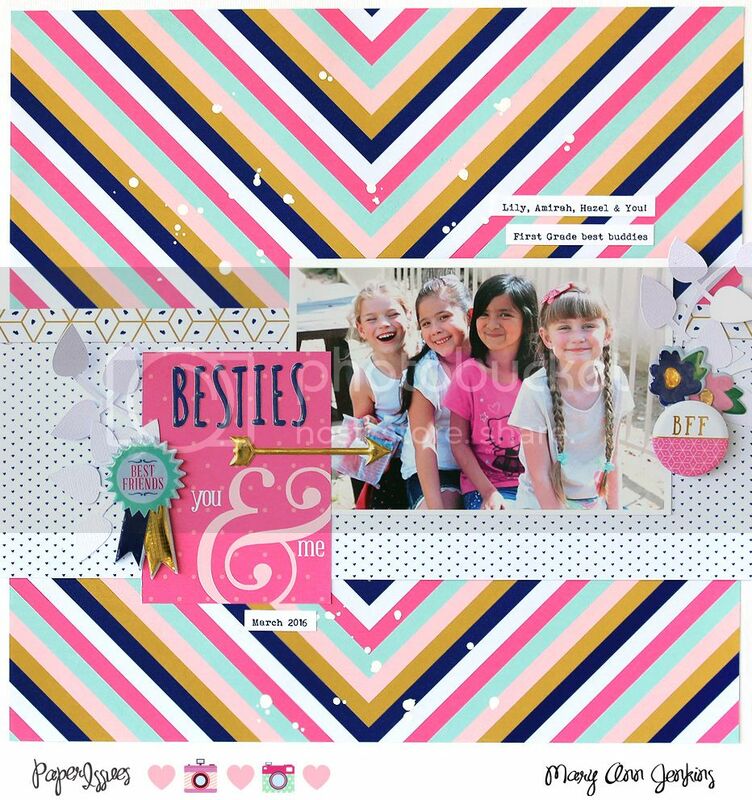 i rock paper and scissors: Scraplift Sunday - Scraplifting Me! 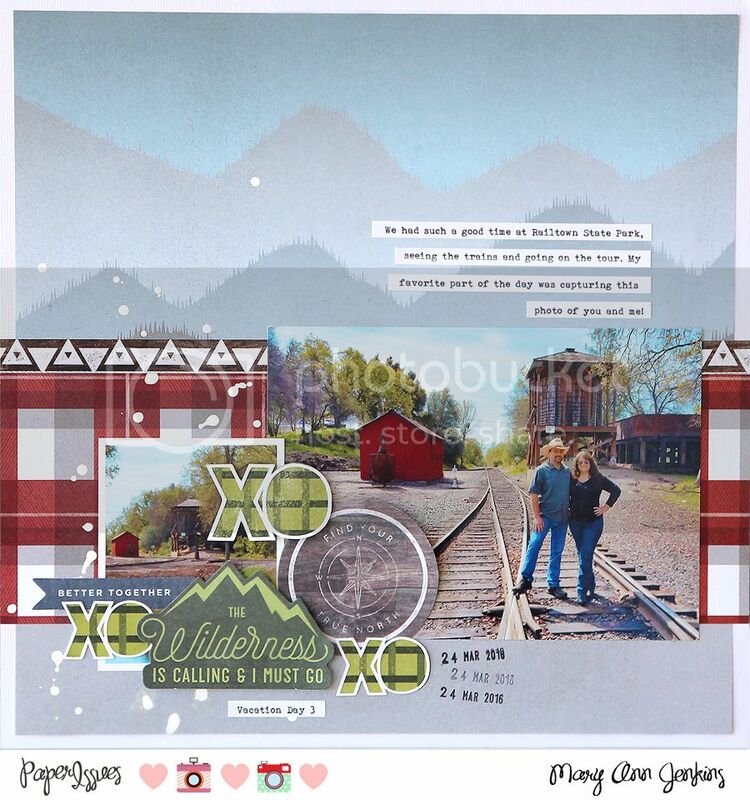 Scraplift Sunday - Scraplifting Me! I used the super cute Millie & June collection by Fancy Pants designs! I started with that great background paper, and added a bit of white paint splatters just like I did on the original layout. Next came the center strip of paper, my photo, and then the embellishments on each side of the photo. Don't you just love the colors, they are so pretty and vibrant!